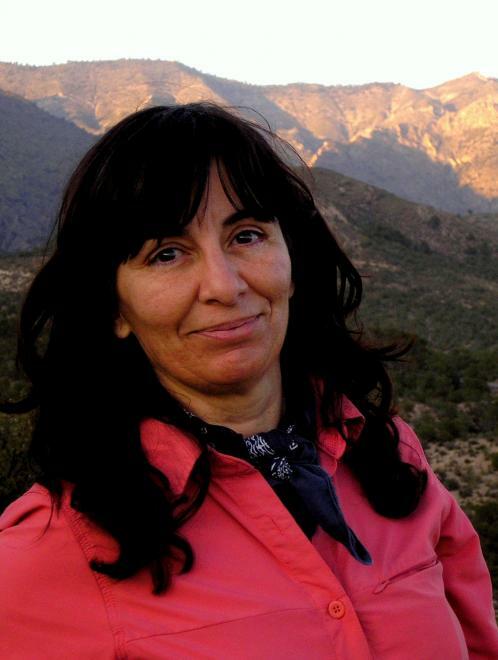 Brief summary of research work: Dr Susana Bautista has focused her research on the study of land degradation and desertification, ecosystem responses to wildfires, and dryland restoration. Has extensive experience in dryland ecohydrology, spatial-pattern analysis, and ecosystem assessment. Composition, Functioning and Restoration of Ecosystems. Structure-function relationships in dryland ecosystems; Plant-plant interactions; Regime shifts in drylands; Ecological restoration; Integrated and participatory assessment of land and resource management. CATASTROPHIC SHIFTS IN DRYLANDS: HOW CAN WE PREVENT ECOSYSTEM DEGRADATION? (CASCADE). European Commission, FP7-ENV-2011 (GA283068). Principal investigator (UA): Susana Bautista (2012-2017). PROCESOS DE RETROALIMENTACION ECO-HIDROLOGICA Y DINAMICAS DE UMBRAL QUE LIGAN CAMBIOS ESTRUCTURALES Y FUNCIONALES EN ECOSISTEMAS SEMIARIDOS (FEEDBACK). Plan Nacional de I+D+I (CGL2011-30515-C02-01). Principal investigator: Susana Bautista (2012-2014). INTERACTIONS BETWEEN DIVERSITY AND FIRE IN BRAZILIAN CERRADO AND MEDITERRANEAN SHRUBLAND ECOSYSTEMS. A SPATIAL APPROACH. Ministerio de Educación (PHB2009-0073-PC). Principal investigator: Susana Bautista (2010-2013). PREVENTION AND RESTORATION ACTIONS TO COMBAT DESERTIFICATION. AN INTEGRATED ASSESSMENT (PRACTICE). Comisión Europea, 7PM (GA226818). Principal investigator: Susana Bautista (2009-2012). POST-FIRE VEGETATION RECOVERY: IMPACTS OF RESTORATION AND ENVIRONMENT. International Arid Land Consortium (IALC). Principal investigator: Susana Bautista (2009-2011). PATRÓN ESPACIAL DE LA VEGETACIÓN Y FUNCIÓN HIDROLÓGICA EN ECOSISTEMAS SEMIÁRIDOS. UN ENFOQUE MANIPULATIVO (PATTERN). Ministerio de Ciencia e Innovación, Plan Nacional de I+D+I (AGCL2008/-05532-C02-01/FOR). Principal investigator: Susana Bautista (2009-2011). CAMBIOS CLIMÁTICOS GRADUALES Y ABRUPTOS Y SUS EFECTOS MEDIOAMBIENTALES (GRACCIE). MEC Programa CONSOLIDER INGENIO 2010. Principal investigator: Joan O. Grimalt (2007-2013). ESTRATEGIAS DE RESTAURACIÓN PARA COMBATIR LA DESERTIFICACIÓN EN UN CONTEXTO DE CAMBIO CLIMÁTICO. EFECTOS EN LOS BALANCES HÍDRICOS (ESTRÉS). Ministerio de Medio Ambiente, Plan Nacional de I+D+I (063/SGTB/2007/7.1). Principal investigator: Susana Bautista (2007-2009). Bautista, S., Lamb, D. 2013. Ecosystem Services. In S.E. Jorgensen (ed. ), Encyclopedia of Environmental Management. Taylor & Francis Group, New York, US. Zucca, C., Bautista, S. Orr, B.J., Previtali, F. 2012. Desertification: prevention and restoration. In S. E. Jorgensen (ed. ), Encyclopedia of Environmental Management. Taylor & Francis Group, New York, US. Bautista S., Orr B.J., Alloza J.A., and Vallejo V.R. 2010. Evaluation of the restoration of dryland ecosystems in the northern Mediterranean: Implications for Practice. Chapter 18. In: M-F Courel and G. Schneier-Madanes (eds.) Water in Arid and Semi-arid Zones. Advances in global change research. Springer, Dordrecht, The Netherlands, pp. 295-310. D.O.I.:10.1007/978-90-481-2776-4_18. Bautista S., Aronson, J., Vallejo, R. (eds.). 2009. Land Restoration to Combat Desertification. Innovative Approaches, Quality Control and Project Evaluation. Fundación CEAM. 168 pp. ISBN: 978-84-921259-5-1. Bautista S., Alloza, J.A. 2009. Evaluation of forest restoration. In S. Bautista, J. Aronson, and R. Vallejo (eds.). Land Restoration to Combat Desertification. Innovative Approaches, Quality Control and Project Evaluation. Fundación CEAM, pp. 47-72. ISBN: 978-84-921259-5-1. Navarro Cerrillo, R.M., Guzmán Álvarez, J.R., Herrera, R., Lara, P.A., Torres, M., Ceacero, C., Del Campo, A., Bautista, S. 2009. Monitoring guidelines for the implementation of forest restoration projects in Mediterranean regions. In S. Bautista, J. Aronson, and R. Vallejo (eds.). Land Restoration to Combat Desertification. Innovative Approaches, Quality Control and Project Evaluation. Fundación CEAM , pp. 73-86. ISBN: 978-84-921259-5-1. Zucca C., Bautista, S., Previtali, F. 2009. Desertification: Prevention and Restoration. In R. Lal (ed. ), Encyclopedia of Soil Science, Second Edition. Taylor & Francis Group, New York, US. DOI: 10.1081/E-ESS-120044388. Chirino, E. Vilagrosa, A., Cortina, J., Valdecantos, A., Fuentes, D., Trubat, R., Luis, V.C., Puértolas, J., Bautista, S., Baeza, J., Peñuelas J.L., Vallejo, V.R. 2009. Ecological Restoration in Degraded Drylands: The Need to Improve the Seedling Quality and Site Conditions in the Field. In: Steven P. Grossberg (ed. ), Forest Management. Nova Publishers. ISBN: 978-1-60692-504-1. Bautista, S., Robichaud, P.R., Bladé, C. 2009. Post-fire mulching. In A. Cerdá and P. Robichaud (eds. ), Fire effects on soils and restoration strategies, pp. 353-372. Science Publishers, Inc., Enfield, New Hampshire, USA. Urghege A.M., Bautista, S. 2014. Size and connectivity of upslope runoff-source areas modulate the performance of woody plants in Mediterranean drylands. Ecohydrology. Published online in Wiley Online Library (wileyonlinelibrary.com). DOI: 10.1002/eco.1582). López-Poma R., Bautista S. 2014. Plant regeneration traits modulate the response to fire of soil enzyme activity in Mediterranean shrublands. Soil Biology & Biochemistry 79: 5-13. Gorgone-Barbosa E., Pivello V.R., Bautista S., Rissi M.N., Zupo T., Fidelis A. 2014. How an invasive grass can affect fire behavior in a tropical savanna? A community and fine scale approach. Biological Invasions. DOI 10.1007/s10530-014-0740-z. Verwijmeren M., Rietkerk M., Bautista S., Mayor A.G., Wassen M.J., Smit C. 2014. Drought and grazing combined: contrasting shifts in plant interactions at species pair and community level. Journal of Arid Environment 111: 53-60. García, M.A., Moutahir, H., Bautista, S., Rodríguez, F. 2014. Determination of phenological parameters from MODIS derived NDVI data using hidden Markov models. 2nd International Conference on Remote Sensing and Geoinformation of the Environment, RSCy 2014, Paphos, Cyprus; 7-10 April 2014. Code 107331. Proceedings of SPIE - The International Society for Optical Engineering volume 9229, Article number 92291K. García M.A., Alloza J.A., Mayor A.G., Bautista S., Rodríguez F. 2014. Detection and mapping of burnt areas from time series of MODIS derived NDVI data in a Mediterranean region Central European Journal of Geosciences 6(1): 112-120. DOI: 10.2478/s13533-012-0167-y. Valdecantos A. Fuentes D., Smanis A., Llovet J., Morcillo L., Bautista S. 2014. Effectiveness of low-cost planting techniques for improving water availability to Olea europaea seedlings in degraded drylands. Restoration Ecology 22(3): 327–335. López-Poma, R., Bautista, S. 2014. Effects of plant post-fire persistence traits on soil microbial biomass and activity in Mediterranean shrublands. Flamma 5(1):52-55. Mayor, A.G., Kéfi, S., Bautista, S., Rodríguez, F., Cartení, F., Rietkerk, M. 2013. Feedbacks between vegetation pattern and resource loss dramatically decrease ecosystem resilience and restoration potential in a simple dryland model. Landscape Ecology 28(5): 931-942. DOI.10.1007/s10980-013-9870-4. Kribeche, H., Bautista, S., Gimeno, T., Blade, C., Vallejo, V.R. 2013. Evaluating the Effectiveness of Post Fire Emergency Rehabilitation Treatments on Soil Degradation and Erosion Control in Semi-Arid Mediterranean Areas of the Spanish South East. Arid Land Research and Management 27(4): 361-376. DOI: 10.1080/15324982.2013.771229. Mayor, A.G., Bautista, S., 2012. Multi-scale evaluation of soil functional indicators for the assessment of soil and water retention in Mediterranean semiarid landscapes. Ecological Indicators 20: 332–336. Rojo, L., Bautista, S., Orr, B.J., Derak, M., Cortina, J., Vallejo, R.V. 2012. Prevention and restoration actions to combat desertification. An integrated assessment. PRACTICE project. Sécheresse 23 : 219–26. Mayor, A.G., Bautista, S., Bellot, J. 2011. Scale-dependent variation in runoff and sediment yield in a semiarid Mediterranean catchment. Journal of Hydrology 397: 128–135. Cortina, J., Martín, N., Maestre F. T., and Bautista S. 2010. Disturbance of the biological soil crusts and performance of Stipa tenacissima in a semi-arid Mediterranean steppe. Plant and Soil 334:311–322. DOI 10.1007/s11104-010-0384-4). van Leeuwen, W.J.D., Casady, G., Neary, D., Bautista, S., Alloza, J.A., Carmel, Y., Wittenberg, L., Malkinson, D., Orr, B. 2010. Monitoring post wildfire vegetation recovery with remotely sensed time-series data in Spain, USA and Israel. International Journal of Wildland Fire 19: 1-19. Mayor, A.G., Bautista, S., Bellot, J. 2009. Factors and interactions controlling infiltration, runoff, and soil loss at the microscale in a patchy Mediterranean semiarid landscape. Earth Surface Processes and Landforms 34:1702-1711. DOI: 10.1002/esp.1875. Castro J., Navarro-Cerrillo, R., Guzmán-Álvarez, J.R., Zamora. R., Bautista, S. 2009. La extracción de la madera quemada tras incendios forestales: ventajas e inconvenientes de una práctica forestal poco estudiada. Quercus 281: 34-41. Mayor, A.G., Bautista, S., Small, E.E, Dixon, M., Bellot, J. 2008. Measurement of the connectivity of runoff source areas as determined by vegetation pattern and topography. A tool for assessing potential water and soil losses in drylands. Water Resources Research 44, W10423, doi:10.1029/2007WR006367. Vilagrosa, A., Chirino, E., Bautista, S., Urgeghe, A.M., Alloza, J.A., Vallejo, V.R. 2008. Proyecto de lucha contra La desertificación: Regeneración y Plan de Manejo de Zonas Semiáridas Degradadas, en el T.M. de Albatera (Alicante). Cuadernos SECF 28: 317-322. Bautista, S., Mayor, A.G., Bourakhouadar, J., Bellot, J. 2007. Plant Spatial Pattern Predicts Hillslope Runoff and Erosion in a Semiarid Mediterranean Landscape. Ecosystems. 10(6): 987-998. DOI: 10.1007/s1002 1-007-9074- 3. Armesto, J.J., Bautista, S., Del Val, E., Ferguson, B., García, X., Gaxiola, A., Godinez-Alvarez, H., Gunn, G., López-Barrera, F., Manson, R., Núñez-Avila, M., Ortiz-Arrona, C., Tognetti, P., Williams-Linera, G. 2007. Towards an ecological restoration network of the Americas: Challenges and opportunities for reverting land degradation. Frontiers in Ecology and the Environment 5(4): W1–W4. Mayor, A.G, Bautista, S., Llovet. J., and Bellot, J. 2007. Post-fire hydrological and erosional responses of a Mediterranean landscape: Seven years of catchment-scale dynamics. Catena 71: 68-75. Doi:10.1016/j.catena.2006.10.006.